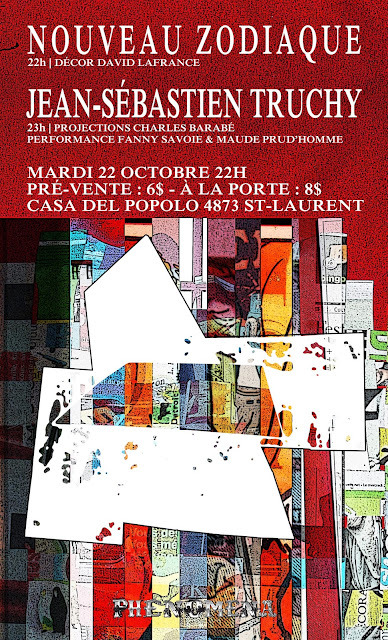 Come to Casa Del Popolo on Tuesday the 22nd October during the Phenomena festival. I'll be on at 11pm following Nouveau Zodiaque who'll play at 10pm. I'll be playing a new piece, It’s Blazing Light Invokes The Wisdom Elixir (And They Merge Inseparably), with great new projections by Charles Barabé and a performance by Fanny Savoie and Maude Prud'homme. It should great!